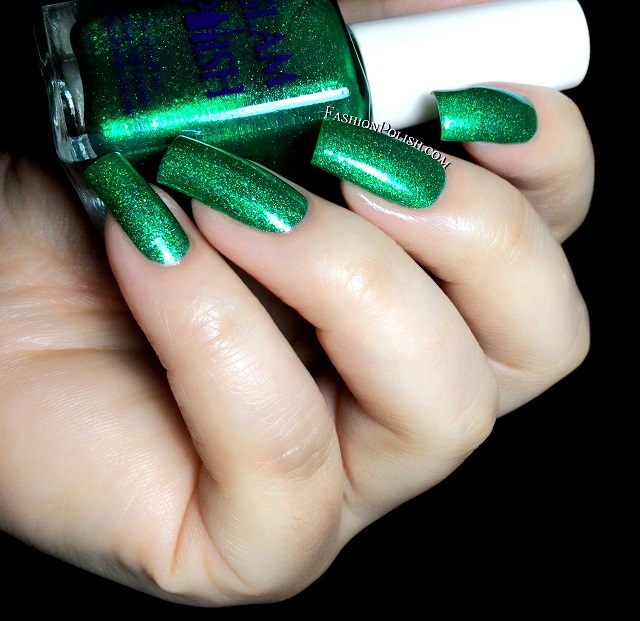 Fashion Polish: Glam Polish Exotic Illusions Series June review! Glam Polish Exotic Illusions Series June review! Anyway, I have some Aussie indie pretties for you today! The third Glam Polish Exotic Illusions trio : June. Formula and application were really nice, smooth, self leveling and opaque in 2 coats. All highly saturated and ultra sparkly. 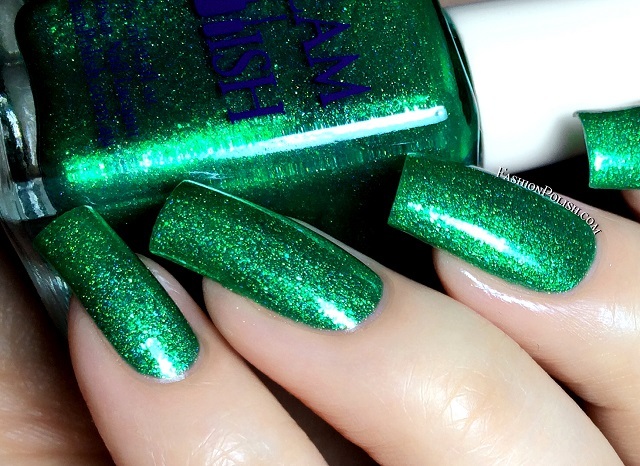 Utopian Paradise is a grass green glass fleck with green sparkles and a subtle holo. I used 2 coats plus topcoat. 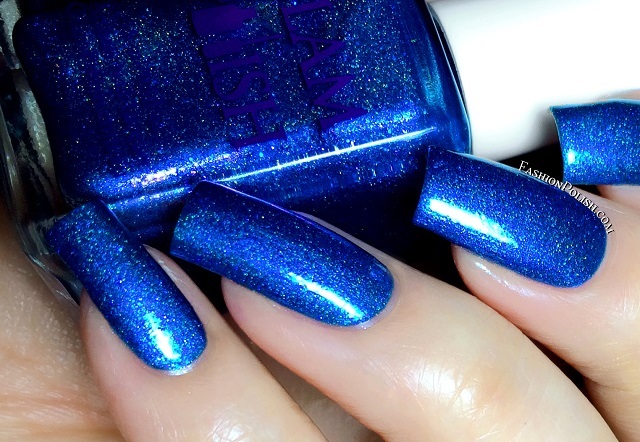 Azure Bay is a bright blue glass fleck with pink sparkles and a subtle holo. Shown below : 2 coats. 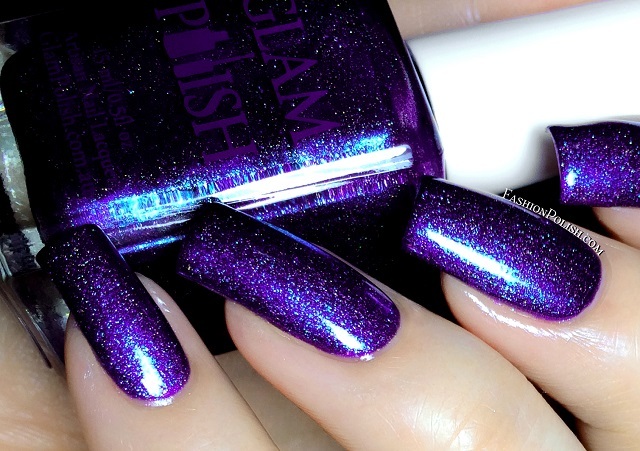 Divine Cosmos is a rich purple glass fleck with icy blue sparkle and a subtle holo. Again, 2 coats were used. Another really nice release this month. I've tried a LOT of indies and I must that these are some of the most intense holos I've ever tried, the glass fleck / holo combo is totally unique especially in the sun! 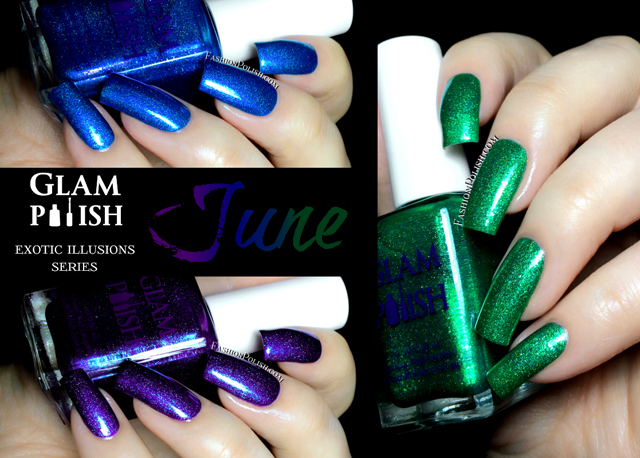 The June Glam Polish Exotic Illusions Series is available for pre-order on glampolish.com.au right now. Individual shades retail for $11.95 each (Australia & USA shipping available). Official release is scheduled for June 26th. I can't wait to hear your thoughts on this new trio. Thank for looking guys!